Labor Day! …. To many the official start of the fall season. I’ve been planning out my fall decorating and thinking about the upcoming holiday season. Halloween…Thanksgiving…and yes, even Christmas! I’ve been busy this weekend working on several projects that I am excited to show you. But first let’s take a trip back to visit five fantastic fall projects from seasons past. These Fall Faux Pumpkins were a fun project. 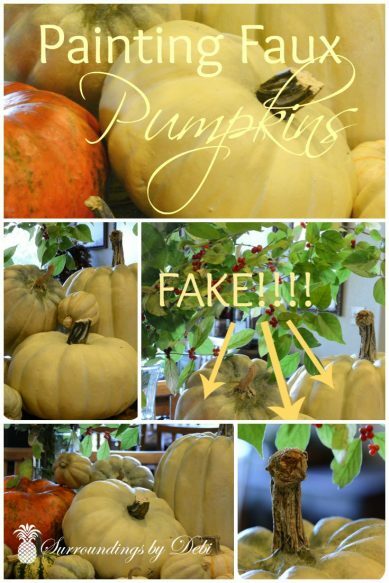 Let’s see if you can tell the fake from the real! 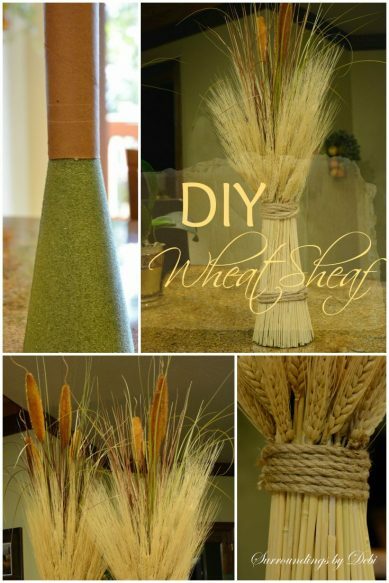 You’re sure to see these DIY Wheat Sheaf creations back in this year’s fall decorating. I love the way they turned out and they make a real statement! These Tomato Cage Topiaries were an easy project and make the entrance to our home so inviting. I use them year round and simply change them out for each season. 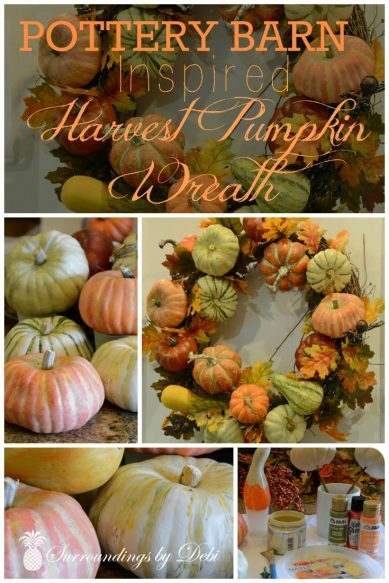 And painting pumpkins was so much fun that I painted even more for this Pottery Barn Inspired Fall Harvest Pumpkin Wreath. 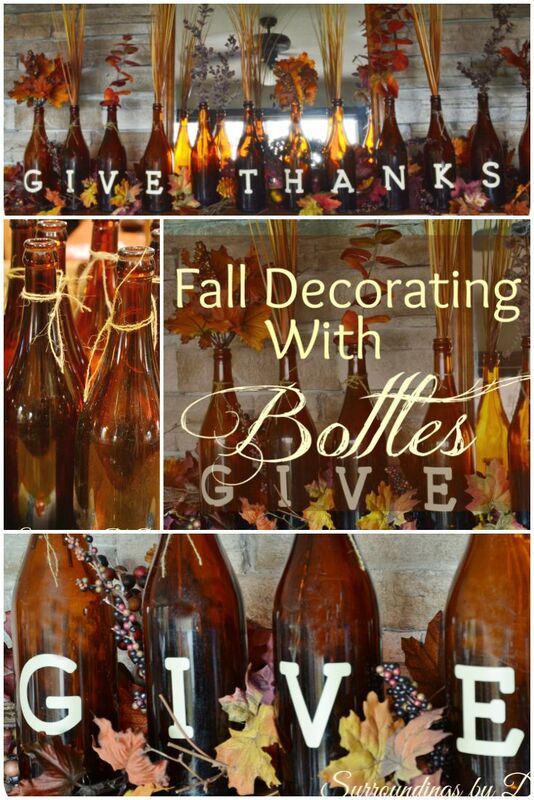 Fall Decorating with Brown Bottles was a simple project with the help of my Cricut machine. They added a special flair to one of the mantels in my home. It’s been fun to share with you today some of my past fall projects. Be sure to stop back by over the next few weeks to see what I’ve been working on for this year! 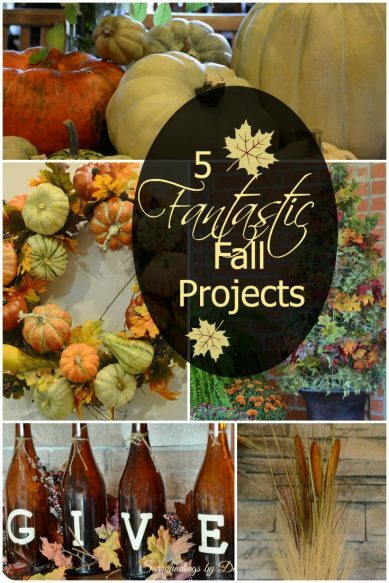 If you enjoyed these Five Fantastic Fall Projects, I invite you to add them to your fall Pinterest board! You can view all of the wonderful things I am posting HERE! Thanks Katherine! I love to create for sure! I am glad you enjoyed the projects. Thanks for the feature Kathryn! Have a great week! Thank you for your kind words Nina! You are welcome to share my ideas with links back. I truly love creating! See you at the party tonight! Perfect projects for fall! Please share on Idea Box. Where did you get your cat tails? I can’t find any of those anywhere. Cyndee – I got the cattails at Hobby Lobby. They were in a bush and I took it apart and used them in the arrangement. I will head over to Idea Box! Thank you for the feature Kathryn! You know I love your parties! You always inspire me with your wonderful posts! Lots of pretty projects, not sure which one is my favorite. thanks for sharing with #OMHGWW. Thanks for stopping by Celeste. It was a pleasure to join your party! Hi Debi, Such lovely fall inspiration, I love the bottles they are really different! I would love for you to stop by and share on my Friday Features at Oh My Heartsie Girl this week! Pinned them to my Seasonal and Holiday Board! Hope to see you there….Have a great weekend! Thank you Karen! I would love to stop by. Have a wonderful week! I hope you can join us at the Thursday Favorite Things Blog Hop again this week. 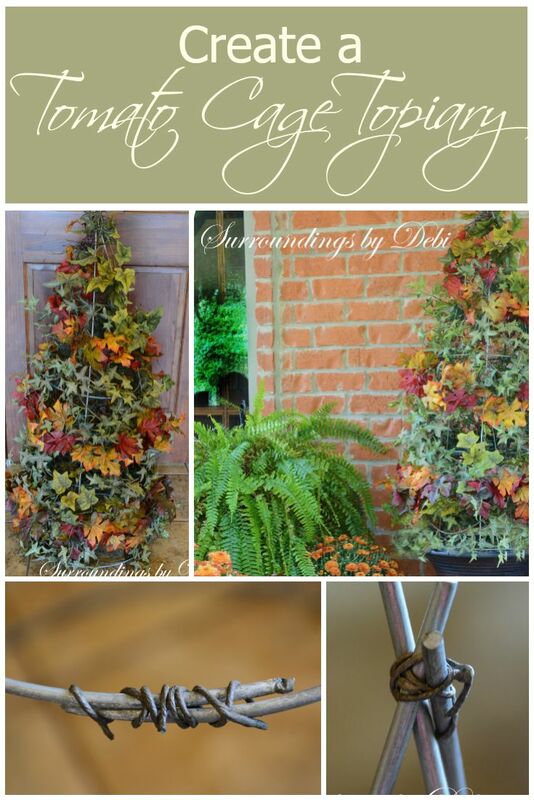 Debi, you are so crafty…I really love that bottle idea and that would look stunning over a fireplace. Autumn is my favorite time of the year but it is so difficult to get in the mood here in Asia…I can live vicariously through you. Awww. I would hate not to get to decorate for this season. It truly is a great time to be decorating. Please do live through me. You will give me the inspiration to keep at it! 🙂 Thanks for stopping by and I hope to see you again soon! 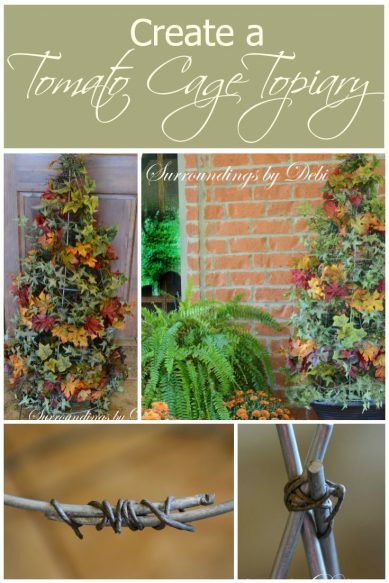 Great ideas to inspire me and ready me for fall!! Thank you Patti! I can’t wait to get my decorating started! This is the best collection of Fall tutorials I have come across this season. Great directions and final products…you have made me a follower! Thanks–and this afternoon I’m starting my topiary, if I can snitch a tomato cage from my hubby!…Thanks! Thank you for the kind comments Sandra! I truly love decorating and sharing with others. I appreciate you joining my followers!Good luck on your topiary! SO much inspiration! I LOVE your wreath and topiary! Thank you C.D. I appreciate your vote of confidence! Sharing with others makes my life so much fun! I love all your wonderful ideas. Hope you are having a great Labor Day weekend. I had a wonderful weekend Betty! Thanks for stopping by. Look forward to seing you at teh Blog HOp tomorrow!